Every resiliency map tells a different story about its community. In Indonesia, it’s a tale of paperwork, two-wheeled mappers and which mosques are pinpointed as viable shelters. 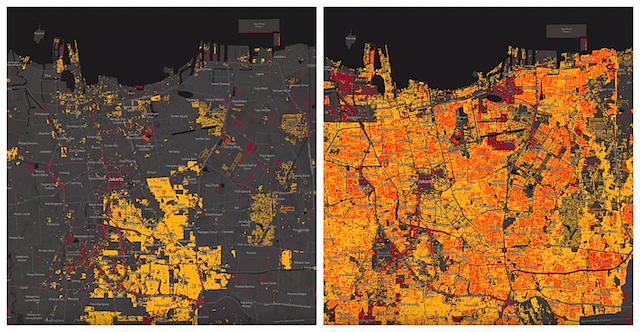 In just a few months, a team of Humanitarian OpenStreetMap added millions of buildings and hundreds of thousands of “lifeline infrastructure” points to maps for Jakarta, Semarang and Surabaya. The results were also paper maps — in the form of atlases — presented to local officials and workshops about mapmaking. The mobile-first toolkit used by these small teams included OpenStreetMap, Open Data Kit and OpenMapKit.